Dear Aspirants, English language plays an important role in every competitive examination, English is one of the most important section in exams which helps you to score more marks. In the recent examination, most of the English language questions come with a surprising level of new pattern questions. 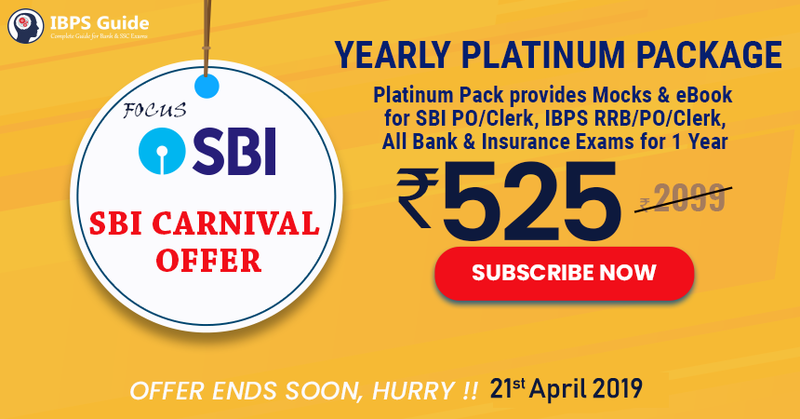 As SBI never flunks to unveil it\'s surprising every year, it\'s your duty to brush up from basics to the nook and corner of English section. The scores in other sections can be increased in a short span of time, unlike English which requires a regular reading habit. If you are strong is the basics of English language sure you will score marks easily. 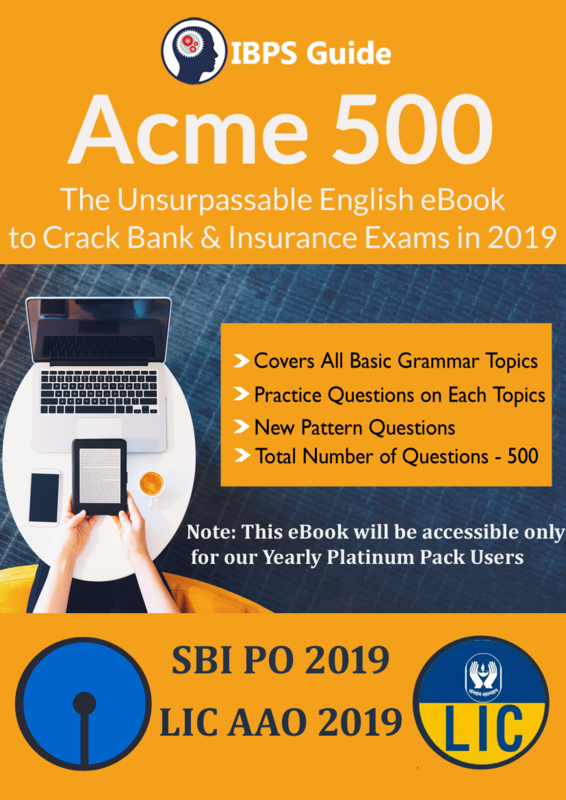 It is impossible to predict the pattern as SBI introduces a new topic every time, IBPSGUIDE is providing you an e-book which consists of basic grammar and new pattern questions. Start practicing the English language in a smart and easy way with our new English e-book. Every basic concept has 10 solved examples with the explanation for your better understanding. This e-book consists of 500+ questions. All the questions are based on recent updated syllabus ≠w pattern. It will guide you throughout the entire preparation like one expert is always available with you. To utilize and enhance your preparation upwards, keep your focus only on upcoming exams 2019 and be a successful banker in 2019. Best of Luck.